I have never realized before how hilarious sea lions were until I visited San Diego this past week. They're just too funny! 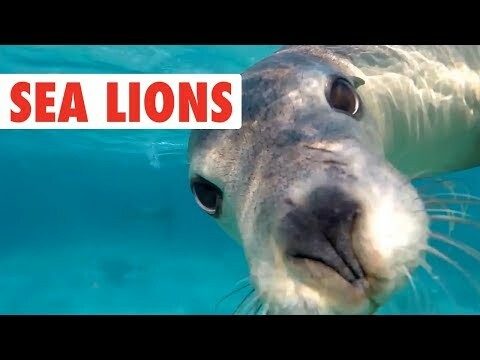 Seals and sea lions are playful and adorable just like little puppies that live in the water. While we were in San Diego, we went deep sea fishing and we were surrounded by seals swimming around. They were so cute until they decided to steal fish off our lines while we were reeling them in! I was caught off guard at first but then I just laughed. Hey, they had to eat too right? You'll see a similar situation in this video. Enjoy! Meet Pickles The Surfing Pig! Meet the pig who can surf waves!